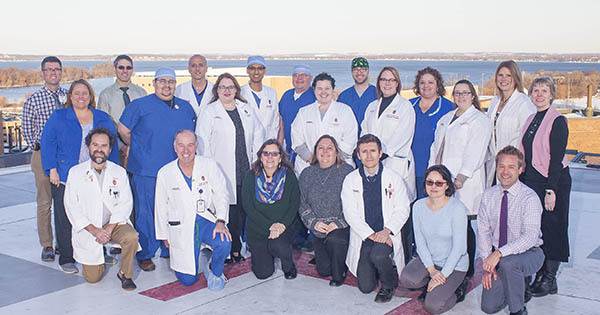 Madison, Wisconsin – University Hospital has received the American Heart Association/American Stroke Association’s Get With The Guidelines®-Stroke Gold Plus Quality Achievement Award. The award recognizes the hospital’s commitment to treating stroke patients using research-based guidelines based on the latest scientific evidence. The UW Comprehensive Stroke Center earned the award by meeting quality achievement measures for the diagnosis and treatment of stroke patients. These evidence-based guidelines are designed to speed recovery and reduce death and disability for stroke patients. Before discharge, patients also receive education on managing their health, get a follow-up visit scheduled, as well as other care transition interventions. The hospital also received the association’s Target: Stroke Elite Plus Honor Roll. For this award, the hospital developed quality measures to reduce the time between the patient’s arrival and treatment with a clot-busting drug known as tPA. Dr. Eric E. Smith, national chairman of the Get With The Guidelines steering committee and an associate professor of neurology at the University of Calgary in Alberta, Canada said he was pleased to see the UW stroke center earn the award. “Research has shown that hospitals adhering to clinical measures through (this) quality improvement initiative can often see fewer readmissions and lower mortality rates,” Smith said.